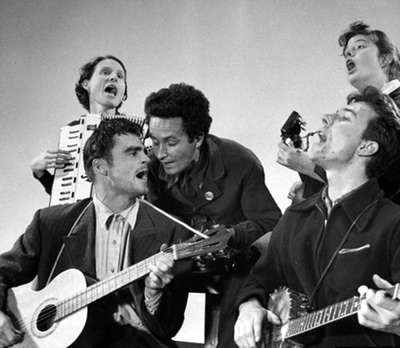 Some of the most prominent folk singers of the twentieth century, Woody Guthrie, ‘Sis Cunningham, Pete Seeger, Lee Hays, Burl Ives, etc., were also political activists with various associations with the American Communist Party. As a consequence, the FBI, along with other governmental and right-wing organizations, were monitoring them, keeping meticulous files running many thousands of pages, and making (and carrying out) plans to purge them from the cultural realm. Through extensive research and review of Freedom of Information Act filings — including never before released material — the book will tell the story of these artists and the systematic way they were subject to government surveillance and suppression. 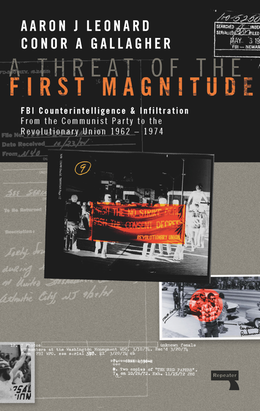 A Threat of the First Magnitude tells the untold story of the FBI informants who penetrated the upper reaches of organizations such as the Communist Party, USA, the Black Panther Party, the Revolutionary Union and other groups labeled threats to the internal security of the United States. Available at�Amazon UK�/�Hive�/�Amazon US�/�Barnes & Noble�/�Indiebound.